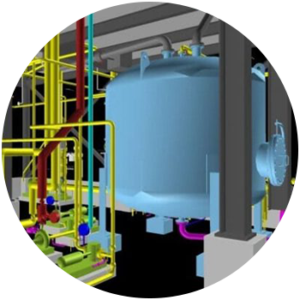 Why Draftech for Plant Design? Expert piping design…without the rework! Draftech’s designers and drafters can absolutely improve the workflow on your projects. Our team will evaluate your project scope, tailor our assistance to your specific needs, and deliver the timely services that our customers have come to expect. Our design expertise, teamed with our 3D scanning and plant design software prowess will get you exactly what you need…exactly when you need it. You’ll be pleased with our level of engagement and communication. You’ll be thrilled with the engineering cost savings and reduction in rework expenses. We’re a small company, and can’t take on every project that comes our way. But when we ARE on your project, you can rest assured that we’ll meet or exceed your expectations. Consider us for the pre-engineering and/or design work on your next project.